Charlie Hebdo revealed their cover image for this week’s issue, printed just days after two gunmen opened fire on the newspaper’s Paris office, killing 12 people. Four of the Charlie’s cartoonists were killed in the attack. 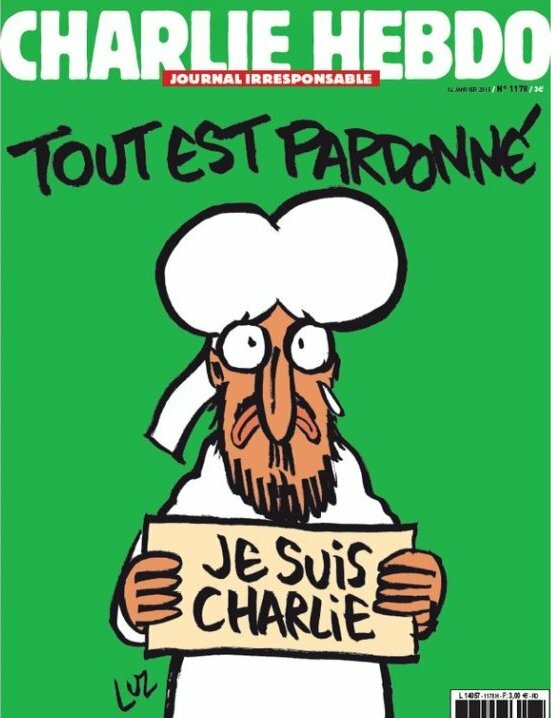 The cover shows the Prophet Muhammad holding a “Je Suis Charlie” sign with the caption, “All is forgiven.” The newspaper said that it will print over 1 million copies this week, with financial help from Google, Le Monde and other organizations. It usually prints around 60,000. Next Next post: A Fresh Start For Sri Lanka?